Let me get this straight: the man who has blamed George Bush for FOUR YEARS of his own failures actually stood up and made a courageous decision all by himself? Seriously? 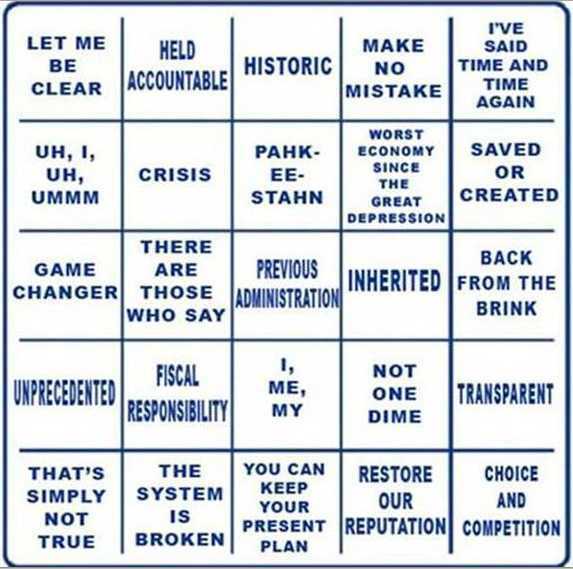 It’s time to take another drink again, you liver-failed alcoholics who are still in the Obama drinking game. Every time there’s “unexpected” news – such as poor economic news or anything that would undermine the liberal thesis that Obama is our messiah – ye who are playing must take a drink. Former Attorney General Michael Mukasey told Sean Hannity tonight that the Obama Administration drafted a memo to protect the president from blame if the mission to kill or capture Osama Bin Laden would have failed. That way Obama could blame the general instead of taking the blame himself. Mukasey wrote about it this week in The Wall Street Journal. And, of course, this surprises no one who is familiar with Obama’s leadership style. Mukasey also contrasted Obama’s leadership style tonight to Lincoln and Eisenhower as he did in his WSJ Opinion piece earlier in the week. A week later, when the success of the invasion was apparent, Eisenhower saluted the Allied Expeditionary Forces: “One week ago this morning there was established through your coordinated efforts our first foothold in northwestern Europe. High as was my preinvasion confidence in your courage, skill and effectiveness . . . your accomplishments . . . have exceeded my brightest hopes. It’s hard to imagine Lincoln or Eisenhower claiming such credit for the heroic actions of others. The first anniversary of the SEAL Team 6 operation that killed Osama bin Laden brings the news that President Obama plans during the coming campaign to exploit the bragging rights to the achievement. That plan invites scrutiny that is unlikely to benefit him. Which is to say, if the mission went wrong, the fault would be Adm. McRaven’s, not the president’s. Moreover, the president does not seem to have addressed at all the possibility of seizing material with intelligence value—which may explain his disclosure immediately following the event not only that bin Laden was killed, but also that a valuable trove of intelligence had been seized, including even the location of al Qaeda safe-houses. That disclosure infuriated the intelligence community because it squandered the opportunity to exploit the intelligence that was the subject of the boast. The only reliable weapon that any administration has against the current threat to this country is intelligence. Every operation like the one against bin Laden (or the one that ended the career of Anwar al-Awlaki, the U.S. citizen and al Qaeda propagandist killed in a drone attack last September) dips into the reservoir of available intelligence. Refilling that reservoir apparently is of no importance to an administration that, after an order signed by the president on his second day in office, has no classified interrogation program—and whose priorities are apparent from its swift decision to reopen investigations of CIA operators for alleged abuses in connection with the classified interrogation program that once did exist. That seems a jarring formulation coming from a man who, when first elected, was asked which president he would model himself on and replied, Lincoln. Abraham Lincoln, on the night after Gen. Robert E. Lee’s surrender ended the Civil War, delivered from the window of the White House a speech that mentioned his own achievements not at all, but instead looked forward to the difficulties of reconstruction and called for black suffrage—a call that would doom him because the audience outside the White House included a man who muttered that Lincoln had just delivered his last speech. It was John Wilkes Booth. That is not to say that great leaders, including presidents, have not placed themselves at the center of great events. But generally it has been to accept responsibility for failure. Such examples are worth remembering every time President Obama claims bin Laden bragging rights. Mr. Mukasey served as U.S. attorney general from 2007-09, and as a U.S. district judge from 1988 to 2006. A version of this article appeared May 1, 2012, on page A15 in some U.S. editions of The Wall Street Journal, with the headline: Obama and the bin Laden Bragging Rights. You’ve got to understand the situation Obama faced: what would have happened to Obama politically if he had been told exactly where bin Laden was hiding and he refused to get him??? When you ask yourself that question, it wasn’t a courageous decision to go after Osama bin Laden: it would have been a far more politically courageous decision NOT to go get him; because furious intelligence and military professionals would have resigned in protest and then made very sure that Obama paid politically for refusing to get the man who murdered 3,000 Americans. And let’s not forget that this is now the age of Wikileaks. Obama would not have politically survived if he had refused to get bin Laden; he might literally have been impeached – with Democrats joining Republicans to wash their hands of this turd. Obama did what Obama had to do to protect Obama. And the memo pretty much proves that Obama took the “protect Obama at all costs” meme as far as he could possibly take it. Don’t blame Obama. Never blame Obama. Obama is he who must never be blamed. You are not allowed to hold him responsible for anything that ever has happened or ever will happen or you are a racist. Well, if you vote Republican you’re already a racist a priori; so you’re a DOUBLE racist.